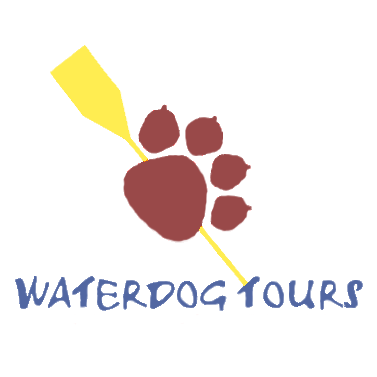 Below is our WWOOF Latin America, Ecuador Listing. Our Farm is called: La Isla, meaning “The Island” because it is located between 2 rivers and must be accessed through a cable car. Organic Farm with fully natural and organic products. The work is heavy and requires the ability to utilize and exercise many muscles and strength areas of your body. Therefore, people must be able to do farm work such as lift more than 15 lbs, shovel dirt, and have a heart and spirit that is open to new experiences and adventures of farm work. Additionally, volunteers must be comfortable crossing approximately 60-70 meters across and 15 meters high over the Quijos River in a “tarabita” (or a cable car) in order to arrive to the farm. Animals: Raise Cattle, Produce Milk from the Cows, Raise Guinnea Pigs, Raise Tilapia, Raise Chicken.Crops: To be sowed and reaped: Sugar Cain, Yuca, Guabas, Lemon Trees, Medical Herbs, Radish, we also grow vegetables such as lettuce, cabbage, onions, and many others. Other Projects: We need to build some more Hygienic Systems, Build 2 more fish farms (in addition to the other fish farm), we need to keep constructing one of the ranches on the farm, We need to create more trails to arrive to the other areas of the Ranch, there is some extra farming land that needs to be prepared and plowed and cleaned for producing more vegetables, we also need to clean some of the other cultivated land, we want to build a bridge from one part of the farm to the other that is separated by a river. The objective of the farm is to create an example of organic farming for local farmers and families to teach them how to fully use the land to produce the best vegetables, the best crops, and the best animal raising. Eventually, we hope to create a place for local schools to bring children on a field trip to see how a farm functions and to be able to work on it and eat the foods that it produces. Eventually, we hope to help the farm to become a fully sustainable farm for tourists to come and stay overnight as well to just enjoy the farm and not necessarily work on it. The farm is in total 15 Hectares, Currently the housing is very developed, but it is on a separate plot of land from the farm. The farm is separated by the Quijos River, and to arrive to the farm, one must cross approximately 70 meters over the Quijos River by a “tarabita” (or a cable car), we have plans to improve the ranches and living conditions that are located on the farm. The farm is fully functioning the entire year. However, it is producing the entire year; however, some crops are only being harvested for 6 months, and the other crops are harvested a different 6 months. Some crops are planted and harvested each 2 months. The farm is based out of the town of El Chaco in the Quijos Valley of Ecuador’s Napo Province. Situated on the eastern flank of the Andes, the valley is sandwiched between two large protected areas, the Cayambe Coca Ecological Reserve and Sumaco National Park. The valley itself is part of the Sumaco Biosphere Reserve and is considered a biodiversity hotspot for the wide range of species found within its forests. The surrounding ecosystems range from andean paramo (tundra), tropical cloudforest, and into lower montane rainforest. The valley is home to amazing birdlife, waterfalls, volcanos and other natural wonders. This is one of the most beautiful areas of Ecuador and there is not a better way to experience it than from the Farm’s point of view. Arrival Directions: El Chaco is located about 3 hours from Quito by bus and 2.5 hours in a private car (120 KM from Quito) The easiest and most economical way to get to the El Chaco and the Quijos Valley is to take interprovincial buses from the Quitumbe Bus Terminal on the south side of Quito. El Chaco is halfway between Quito and Lago Agrio and any bus headed to Lago Agrio will drop you off in El Chaco. The price for service from Quito to El Chaco is $4 per person. The following companies run services that pass through El Chaco on their way to Lago Agrio: Putumayo, Banos, and Loja Internacional. Weather Conditions: Usually from 50 degrees F, to 70 F; average of 60 F yearly. At night the temperature drops to around 50 F. There are usually daily drizzles and short rains in the Raining season from March until August, and there is less rain in the Dry Season. Things to Bring: Farm work clothes including boots and jacket in the event of rain. Sanitary Products. Any health Information necessary for consideration of special health needs and conditions i.e. : lists of emergency information in the event of medical emergency such as medications taken or necessary, allergies, contact information of close significant person.